If you’re looking to invest in colorful, quality outdoor furniture at a great price, check out the weekend sale at John Derian. These sold pieces are in the ~$200 range. We’d love to upgrade our roof garden furniture. We’d swap out the plastic Adirondacks a la Target to these beauties from Loll. 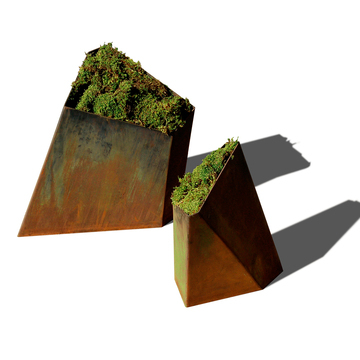 They are on sale until tomorrow night at Gilt Home: $365, marked down from $520. 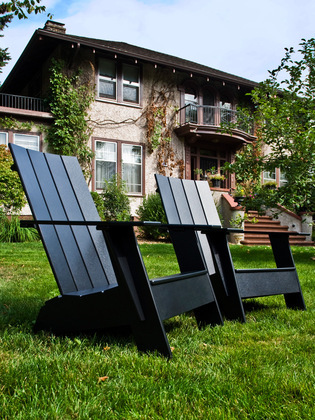 Loll’s outdoor garden furniture is made in the USA from 100% recycled plastic. We bought this patio table and chairs from Crate & Barrel early this spring. We wanted something sturdy since our rooftop space is shared by everyone who lives in the building. 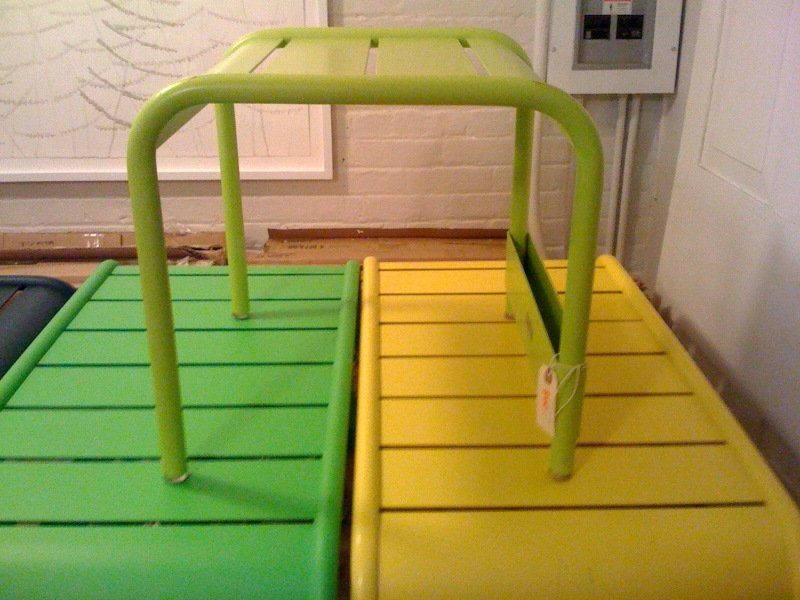 We also wanted to find sturdy chairs that would stack for storage in the winter. We also needed an umbrella that could stand up to the wind. Charcoal Arm Chair … we skipped the cushions since we didn’t want the clutter. All of these items are now on sale! 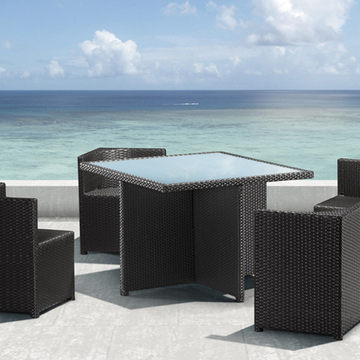 So if your roof garden still needs furniture, this is a great time to order. We liked this patio table because the tiles cut into the top give it some personality. Don’t forget to ask them how long it will take to deliver to you. Also, remember that delivery all the way up to your rooftop could cost extra. Many retailers charge an extra fee per box, per flight of stairs.